SNW Gallery provides custom conservation framing of the highest quality. Our framer, Meri Werner, has a B.F.A. from Wichita State University and decades of experience. She is a Certified Picture Framer® with the Professional Picture Framers Association. We understand that every framing job that comes to us is special, and we give it the attention it deserves. We use only the finest materials to preserve and showcase our customers’ treasured pieces. With over 1,500 frame samples, we have something for every taste and every budget. 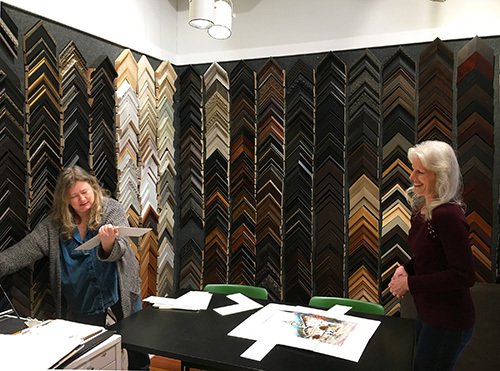 We do all framing in-house, and our inventory of glass, mat, and moulding allows us to offer expedited service.